Web exclusive! Your youngster will feel just like Dad when they unwind in their very own recliner from Flash Furniture. The soft foam and vinyl upholstery makes for a relaxed feel, while the option of being seated or fully reclined allows your child to customize their level of comfort. 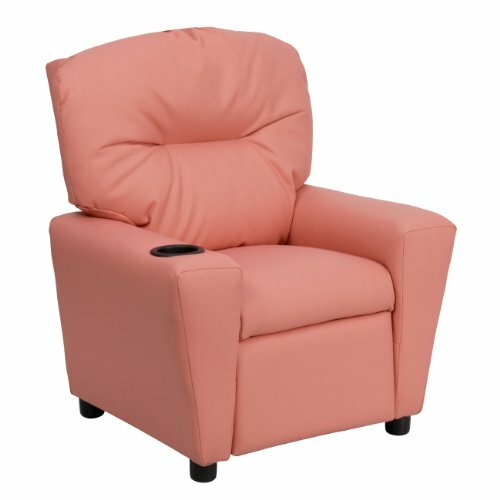 This small-sized recliner also has a cup holder in the armrest, so they'll be content for hours as they enjoy their favorite book or show.